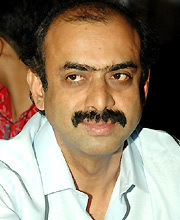 Daggubati Suresh Babu of Suresh Productions is a master film maker who by-hearted the basics of Telugu cinema business so strongly. Every pie he invests will be visible on the screen and the way he approaches towards finalization of a subject or selection of star cast or director showcases his hold. Although a remake, ‘Drishyam’ is going to land him in huge profits just because for his selection of script and star cast. We heard that ‘Drishyam’ is wrapped in a least budget which guarantees more than 100 per cent of profits. Waiting with patience for right time and right subject is the only formula. In the same flow, ‘Gopala Gopala’ is also a remake of proved ‘Oh My God.’ When there is some one like Pawan Kalyan into the business, obviously ‘Gopala Gopala’ is eligible for gigantic profits. Suresh Babu wrapped both these films in less than 17 Crores budget says all about his master moves. Is This Good or Bad for 'Rabhasa'?